Due to a Facilities project, the Journalism Library will be closed for the month of July, 2018. The Lirbary will reopen at Noon on July 30th, 2018. For research help, or for any other questions, please email journalism@library.columbia.edu. We appreciate your patience as we make these needed improvements to the library space.The Journalism Library is located in Room 204 of the Journalism building, inside the Toni Stabile Student Center. To reach the library by phone, please call (212) 854-0390. 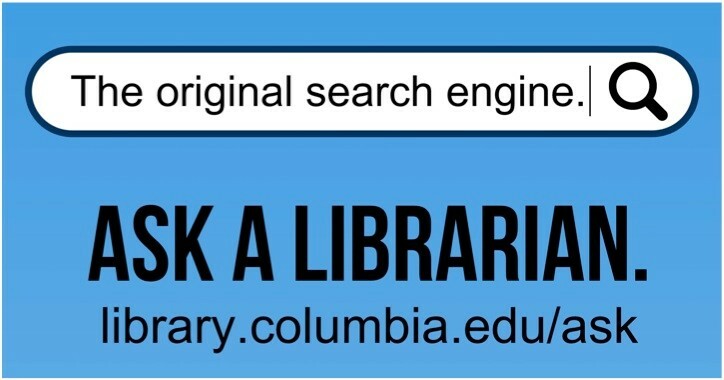 If you have a research question, please contact the Journalism Librarian via email at journalism@libraries.cul.columbia.edu, or by phone at (212) 854-3916.